Taa bụ Ụbọchi Jollof Osikapa! (Today is Jollof Rice Day!). 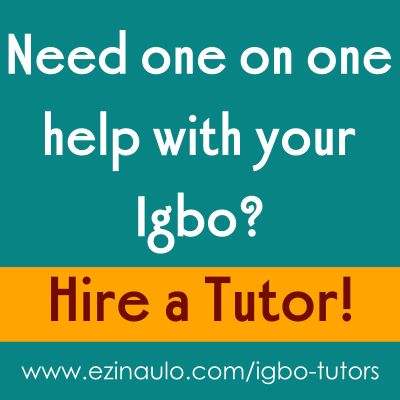 I need to practice writing more in Igbo language. Nke Mbu – Jollof Nigera ditụ mma Jollof Ghana. Nke Anọ – Nile mmemme nwere jollof. (Ya mere, ọ bụrụ na ị na-aga mmemme na ọ dịghị jollof… enyi m, biko gaa ụlọ!). 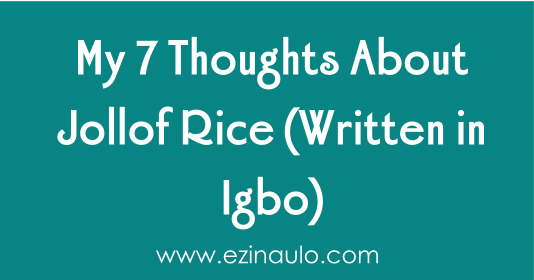 Nke Ise – Mgbe ezughi jollof, ndị mmadu na-ewe iwe. Nke isii – Ọ na-amasị m iri jollof m na anụ ewu na plantain. Nke asaa – Jollof bụ ndụ! Rie jollof taa! I ghotara ihe m dere? Mee ka m mara echiche gị! Daalụ! 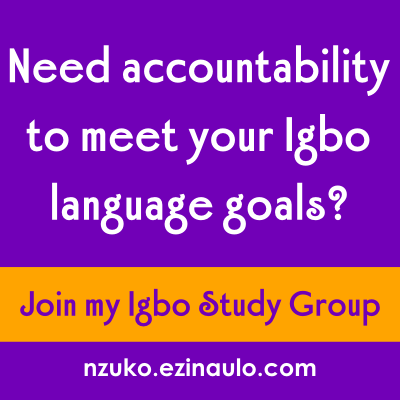 Need help staying consistent with your Igbo studies? 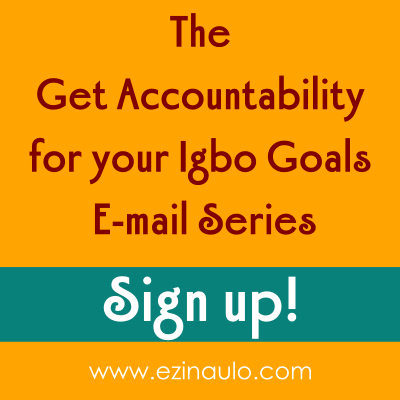 Sign up for my Igbo Accountability Email Series today! You will get there o! Keep trying! 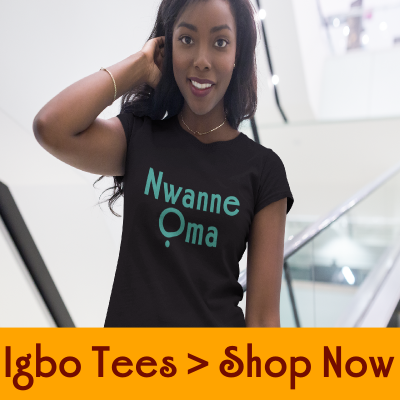 Nke mbu: Agam ede ya otu a… Nigeria ditu/di mma _karia_ Jollof Ghana. Nke ato: Jollof ose di nnukwu na ya, na-amasi m. Ma o bu Jollof etinyere nnukwu ose na amasi m.
Nke ano: Mmemme Nile nwere Jollof. In our language, adjectives comes after the nouns. Nke use: Mgbe Jollof na ezughi, ndi mmadu na ewe iwe. Na ezie, otutu ihe idere kwere nghota, jisie ike! Very helpful for all of us learning. Daalu rinne!